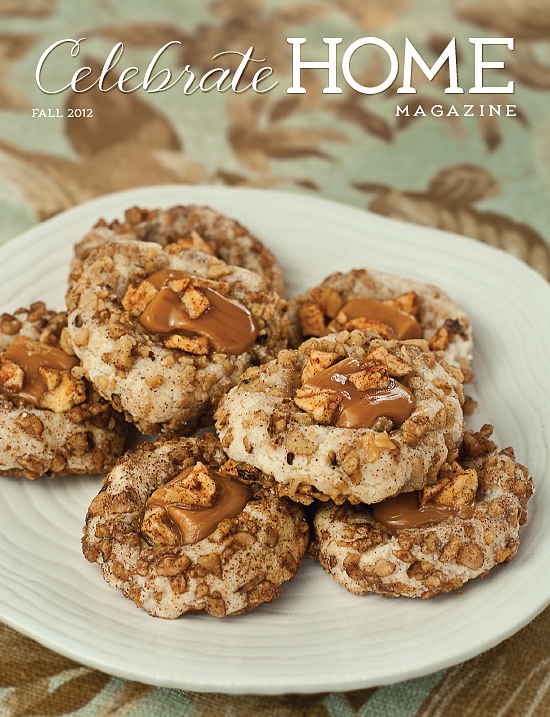 Winter 2013 Celebrate Home Magazine now available for digital download! The winter 2013 issue of Celebrate Home Magazine is now available for digital download in the links below. Click on either of the links below to download your FREE pdf copy of this issue. The first links is for single-page viewing (perfect for printing off your favorite recipe! ); the second link is set up for “reader spreads,” so you can see the magazine in spread format (my favorite!). Below are just some excerpts from our latest issue! 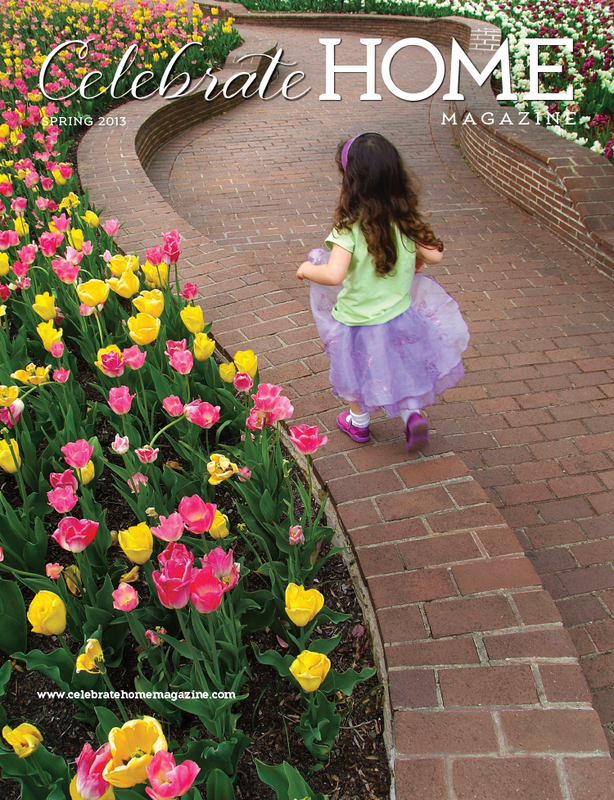 Stay tuned for our spring issue, which will be CHOCK FULL of gardening-related features and crafts. The more clicks we get, the better we do with promoting and getting advertising! We thank you for your support! Celebrate Home Magazine now available on www.issuu.com! Help us get those numbers up by downloading your free copy now! Every click helps us grow the magazine, ensuring more issues for you to read in the future. Help us spread the word! A labor of love: Celebrate Home Magazine is born! I’ve teamed up with the talented and renowned Barbara Kelley, whose editorial expertise has graced Hearing Loss Magazine for more than 20 years. She brings her passion for hospitality and her publishing experience to this brand new publication! We are both passionate about all things home and welcome you to open the door and come on in. We also welcome you to be contributors. This magazine is for you and about you. Want to order a print copy of Celebrate Home Magazine? Click here, then sign up for a free magcloud.com account. You can download the FREE pdf or purchase a print copy on this link. Would you like to be a contributing author or photographer? Please e-mail writing and/or photography samples and links to websites with your work tobkelley@celebratehomemag.com. Do you have an original recipe you’d like to share? Please e-mail your recipes tobkelley@celebratehomemag.com. We can come to you! Are you having a party or special event at your home or an activity that relates to the subject of home? Contact us to discuss your idea. If it fits the editorial scope of Celebrate Home Magazine, we may photograph your event and write the story. Do you have a product or service? If you would like to advertise your product, service, or your city/town/region, contact advertising@celebratehomemag.com. Check it out and celebrate home with us! These lovely photos were shot at my April 15 photography reception at Green Spring Gardens by my friend Karen B.’s eldest daughter, Margot. For the record, Margot and her sister, Hannah, are two of the sweetest, smartest and prettiest young ladies I’ve had the good fortune to watch grow from birth to 20 and 18 years old, respectively. Catering by the Sneeze Guard Heiress, Barbara Kelley of Kelley Hospitality; tablescaping by Karen B. and yours truly. Thanks for the shots, Margot! I take credit for this (unintentionally humorous) garnishing on Michael’s latest soup creation. Don’t you think the dollop of sour cream looks like a ghost doing the Saturday Night Fever dance? Trust me, it wasn’t planned—I envisioned swirls of the white stuff but my garnishing skills obviously leave a bit to be desired. 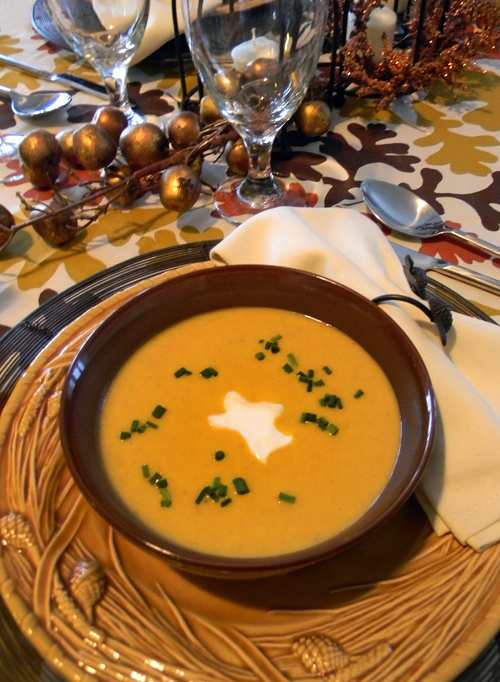 Michael made this butternut and acorn squash soup as a starter for our Thanksgiving dinner with our friend Karen down at her lakehouse. He found the recipe on allrecipes.com. Because the butternut squash he used was so large, he opted to add nearly a teaspoon of cinnamon (the recipe isn’t specific about how much) as well as a little extra onion. The recipe reviews had a common thread; many who tried it said it was way too sweet, which is why Michael opted to not add the brown sugar to his version. It was enough soup to completely fill a crock pot—and it was delicious! And, are you sitting down? I did some cooking, too. I made my friend Barbara Kelley’s Baked Cranberry–Orange Sauce (check out her posting, the recipe, and my photography on her blog here). I do not profess to be an expert in the kitchen (by a country mile), but when I mixed the cranberries with 2 cups of sugar (really? no liquid to add? ), I thought, “hmm…I’m no expert, but that just doesn’t look right without any liquid.” I cut out some of the sugar but followed the other directions that Barbara gave me. It’s obvious (to anyone but me) that the cranberries supply the liquid during the baking process. Clearly, I missed that Good Eats episode with Alton Brown. (Note to self: do not think you will ever be a contender for Chopped). I cut the sugar in half in my version because I knew I would be adding orange marmalade (which is already sickly sweet). It’s still a sweet dish and my dinner companions actually ate a good helping of it (out of pity, perhaps?) My other contribution to the day was crafting the tablescape (truly my favorite thing to do in the kitchen!). Transfer the soup to a pot over medium heat, and cook, stirring occasionally, until heated through. Garnish with parsley (we had home-grown chives in lieu of parsley), and serve warm. Yet another favorite thing to do—set the table for a small dinner party. I should throw more of these smaller, more intimate gatherings (rather than the large “let’s invite everyone we know—and then some” parties). 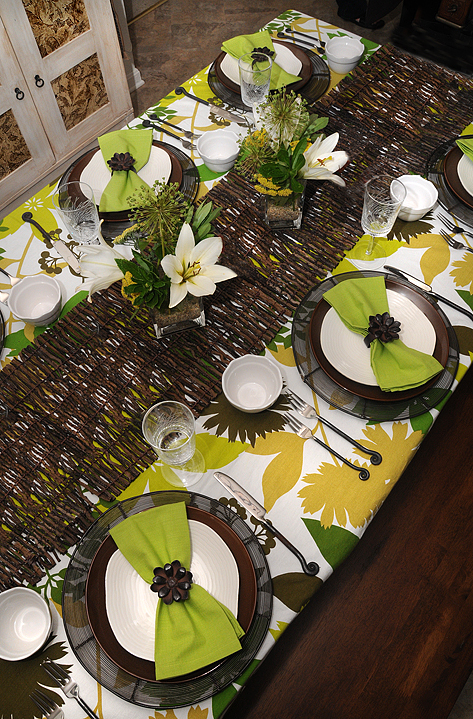 I picked up the gorgeously graphic tablecloth from a Crate & Barrel outlet (I think), and the table runner was just three cheap twig placemats (bought on clearance, of course) strung together with wire. The small salad plates, a recent acquisition, are from Home Goods, have free-form edges, and are embossed to look like rings on a tree trunk (way, way cool). Tableware was a forged “fiddlehead” pattern from a Pottery Barn outlet (really, really cheap; couldn’t pass them up)—very organic and earthy, even if the three-prong design on the fork requires an attitude adjustment. The etched “grass glasses” were on sale for $1 each at a Pier 1 clearance store…couldn’t pass those up, either. Yes, I have a thing for leaves, grasses, and trees. Oh, and don’t get me started on bird- and feather-related things! This was a very last-minute gathering (although it was called a “Mexi-fest, we joked about it being “The Last Supper” since my sister Debbie was flying home the next day). Debbie made her signature enchiladas and the rice and beans were from Baja Fresh (we cheated on the sides, which made it so much easier on us!). The salad was gathered from our garden (lettuce only). Regina made her “Nana’s Sweet Pie” for dessert and Tom brought Corona and Sangrias (very appropriate for a Mexi-fest!). The centerpieces were made with flowers from the garden, too—white lilies, yellow yarrow, “unknown” greenery, and past-their-bloom Purple sensation alliums (very architectural in their current state)—all tucked into two sand- and water-filled square glass vases (cheap, from IKEA). And those two narrow hutches in the background? They’re unfinished pine cabinets from IKEA. I painted them with leftover Home Depot’s Behr Swiss Coffee (a slightly warmish white color) eggshell paint, slathered on a walnut stain, then rubbed burnt umber acrylic paint onto embossed wallpaper (a leaf pattern from Home Depot) that was cut to fit and glued into the recessed squares on the cabinet fronts. The cabinets were used in my painting studio until I relegated them to service as both a drink buffet and dish storage unit in the kitchen. I’m going to submit the project to the website IKEAHacker. If you’re fortunate to live close to an IKEA store, check that site out. You’ll be amazed at the things you can do with all the inexpensive products from that store!